Q: OK, “Vyāsa had a perfect perception of reality and recorded it in the Veda, especially the Bhāgavatam.” However, he establishes his credibility as an āvatāra in the same work. This seems like circular logic to me. The depiction of Vyāsa as an avatāra is in Bhāgavatam 1.3.21, which was spoken by Bhāgavatam’s 2nd narrator, Sūta, not Vyāsa. So your statement, “he establishes his credibility as an avatāra…” is incorrect. 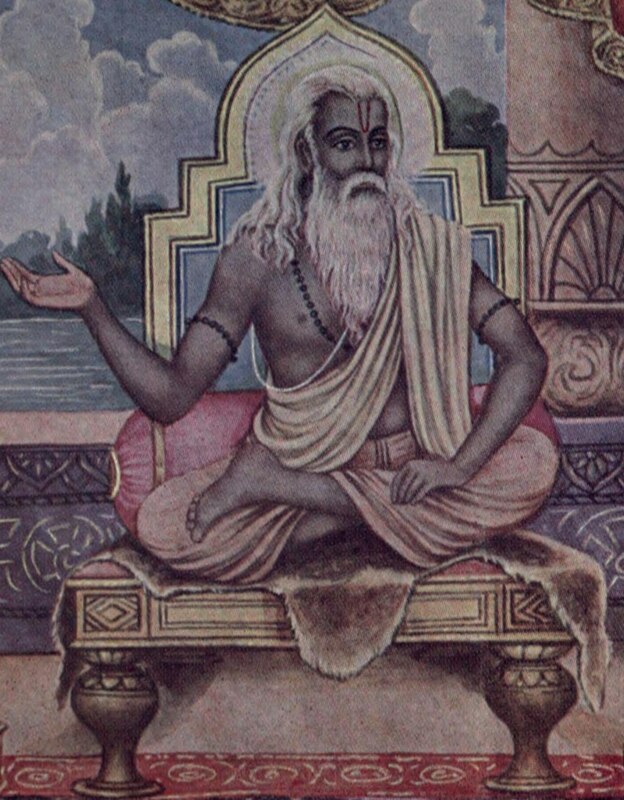 Sūta, not Vyāsa, described Vyāsa as an avatāra. Much more importantly, however, you seem to have the misconception that credibility depends on being an avatāra. It does not. To illustrate this point very profoundly, Śrī Jīva Gosvāmī gives the example of Buddha, whom Vaiṣṇavas consider an avatāra but whose teachings Vaiṣṇavas do not always fully accept (particularly his teaching to ignore the Veda, which resulted in his school teaching that nothing is real). If you want to really grasp the Vaiṣṇava darśan, it is essential that you really clearly understand and embrace the concept that pramāna (credibility) comes from accurate and thoroughly wholistic interpretation of the Veda (particularly Vedānta, which for Gauḍīyas particularly involves Bhāgavata Purāṇa). It is essential to grasp that Vaiṣṇava credibility is not a product of being or not being an avatāra, a guru, a handsome or beautiful person, an impressive speaker or writer, an appointed or voted-in position, or anything else. Credibility comes from accurate wholistic interpretation of the Veda, not from being or not being an avatāra, a guru, a handsome or beautiful person, an impressive speaker or writer, an appointed or voted-in position, or anything else. Previous Even if it’s Flawless, We’re Not.